Size of the INDUSTRY There are about 450 airports and 1091 registered aircrafts in India Today. Geographical distribution Mumbai, Kolkata, Hyderabad, Delhi, Pune, Bangalore, Chennai. 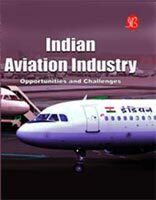 Indian Aviation Industry is one of the fastest growing airline industries in the world. The history of Indian Aviation Industry started in December 1912 with its first domestic air route between Karachi and Delhi. It was opened by the Indian Air Services in collaboration with the UK based Imperial Airways as an extension of London-Karachi flight of the Imperial Airways. Tata Sons Ltd., the first Indian airline, started a regular airmail service between Karachi and Madras three years later without any backing from the Indian government. During the period of independence, 9 air transport companies were carrying both air cargo and passengers in the Indian Territory. In 1948, the Indian Government and Air India set up a joint sector company, Air India International to further strengthen the Aviation Industry of India. As part of nationalization in 1953 of Indian Airlines (IA) brought the domestic civil aviation sector under the purview of Indian Government. Later till the mid 1990's government-owned airlines dominated Indian aviation industry. When the government adopted the Open-sky policy in 1990 and other liberalization policies the Indian Aviation Indian made underwent a rapid and dramatic transformation. By the year 2000 several private airlines have entered into the aviation business in succession and many more were about to enter into the arena. Indian aviation industry today is dominated by private airlines and low-cost carriers like Deccan Airlines, GoAir, and SpiceJet, etc. And Indian Airlines, the giant of Indian air travel industry, gradually lost its market share to these private airlines. According to the report of CAPA, these budget carriers are likely to double their market share by 2010 -- one of the highest in the world. Indian Aviation Industry has been one of the fastest-growing aviation industries in the world with private airlines accounting for more than 75 % of the sector of the domestic aviation market. With a compound annual growth rate (CAGR) of 18 % and 454 airports and airstrips in place in the country, of which 16 are designated as international airports, it has been stated that the aviation sector will witness revival by 2011. In 2009 with increase in traffic movement and increase in revenues by almost US$ 21.4 million, the Airports Authority of India seems set to accrue better margins in 2009-10, as per the latest estimates released by the Ministry of Civil Aviation. This is being primarily attributed because of the increase in the share of revenue from Delhi International Airport Limited (DIAL) and Mumbai International Airport Limited (MIAL). Passengers carried by Indian domestic airlines from January-February 2010 stood at 8,056,000 as against 6,761,000 in the corresponding period of 2009-a growth of 19.2 %, according to a report released by the Ministry of Civil Aviation. Today Hyderabad International Airport has been ranked amongst the world's top five in the annual Airport Service Quality (ASQ) passenger survey along with airports at Seoul, Singapore, Hong Kong and Beijing. This airport in Hyderabad is managed by a public-private joint venture consisting of the GMR Group, Malaysia Airports Holdings Berhad and both the State Government of Andhra Pradesh and the Airports Authority of India (AAI). Scheduled air transport service includes domestic and international airlines. Non-scheduled air transport service consists of charter operators and air taxi operators. Air cargo service, which includes air transportation of cargo and mail. Domestic airlines, which provide scheduled flights within India and to select international destinations. Air Deccan, Spice Jet, Kingfisher Airline and IndiGo are some of the domestic players in the industry. International airlines operate from scheduled international air services to and from India. Non-scheduled air transport service: It is an air transport service other than the scheduled one and may be on charter basis and/or non-scheduled basis. The operator is not permitted to publish time schedule and issue tickets to passengers. Air cargo services: It is an air transportation of cargo and mail. It may be on scheduled or non-scheduled basis. These operations are to destinations within India. For operation outside India, the operator has to take specific permission of Directorate General of Civil Aviation demonstrating his capacity for conducting such an operation. India is one of the fastest growing aviation markets in the world. A total of 127 airports in the country, which include 13 international airports, 7 custom airports, 80 domestic airports and 28 civil enclaves are managed by The Airport Authority of India (AAI). There are about 450 airports and 1091 registered aircrafts in India today. There are three public players: Air India, Indian Airlines and Alliance Air. The private players include Jet Airways, Air Sahara, Paramount airways, Go Air Airlines, Kingfisher Airlines, Spice Jet, Air Deccan and many more. The start up players is those which are planning to enter into the markets. Some of them are Omega Air, Magic Air, Premier Star Air and MDLR Airlines. Today India Aviation Industry requires approximately 7,500-8,000 pilots and an equal number or more air cabin crew by 2010. Heavy pay packages are awaiting pilots with a commercial pilot license (CPL). An amateur pilot can start his career with a salary of Rs 2.5-3 lakh a month with a commercial airline. 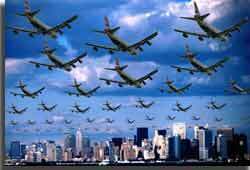 With the sudden increase in the number of airlines, pilots are in great demand. Toward modernization of non-metro airports the Airports Authority of India (AAI) is planning to spend over US$ 1.02 billion in 2010. There are even plans of the city-side development of 24 airports, including airports at Ahmedabad and Amritsar. There are even additionally, 11 new Greenfield airports which are in pipeline which have been identified to reduce passenger load on existing airports. 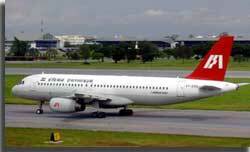 The government has formed National Aviation Company Ltd (NACIL) by merging national carriers Air India and Indian Airlines into a single entity. The blue print was prepared by the civil aviation ministry to convert Delhi airport into an international hub for passenger airlines and has been done so recently. Airports Authority of India (AAI) manages the development and modernization of all 35 non-metro airports in the country simultaneously and work is due to be completed by the year end of 2010. Wholly owned subsidiaries of AAI are being created for betterment of these airports. According to the AAI there are work orders for terminal buildings at 13 airports, and for airside development, including runway, taxiway, apron, fire station, control tower and isolation bay, at 19 airports. Indian Aviation Industry will allow 100 % foreign direct investment (FDI) in the development of airport infrastructure, the Government is fast moving towards finalizing a policy on merchant airports. Under this new concept, merchant airports will be built entirely by private parties with their own resources, without any government funding. Indian Aviation with the advent of low-cost airlines & ever-increasing passenger traffic there is a fleet expansion. There is an Initiation of the whole new business avenue for global aircraft companies in maintenance, repair and overhaul (MRO). This MRO facility provides major and minor maintenance, refurbishment and repairs of aircraft. The gaint players like Boeing and Airbus have announced their plans for MRO facilities in India. Recently the Government in India has approved the Domestic Air Transport Policy which provides for foreign equity participation up to 49% and also investment by Non-Resident Indians (NRIs) up to 100% in the domestic air transport services. As the government plans to fix a higher foreign direct investment (FDI) ceiling for five sub-sectors of the industry in days to come the flow of foreign investment into aviation is likely to get smoother.